I know, I know what you’re thinking. He’s reviewing water!? Fruit2O has had a special place in my heart when I was younger we used to always freeze them and take them to camp or ball games. It was a real hot day in my house and I was getting sick of the normal soda we have lying around so I grabbed one of these instead of just tap water when I got back from a walk around Borderland State Park. 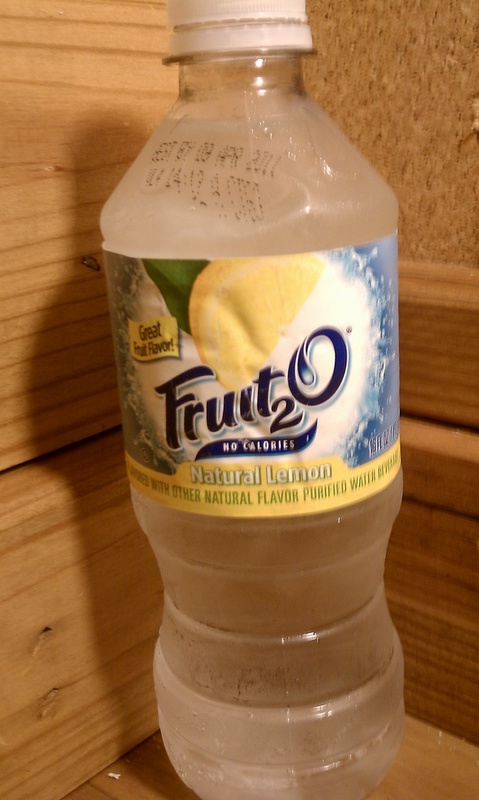 The flavor of these drink is a real clean tasting cool water especially when near frozen. The lemon flavor lingers around in my mouth and is overly sweet with a very slight pucker aftertaste. I enjoy this day even today especially on a real hot day. Question of the Post – What’s your favorite thing to flavor water with? These are ok.. but flavored water is just well better if you do Kool-aid.